It’s October, and that means we are in peak knitting & crocheting season. With the holidays right around the corner, what better way to get in the spirit than with quick + fun projects that are easy to care for and perfect for gifting? Queue the October monthly yarn sale: 20% off all Mighty Stitch yarns! Knit in super bulky, the Belle Slouch Beanie & Cowl is an adorable way to keep the little ones toasty in the cold. Let them pick their favorite colors and watch them squee with delight when their matching hat and cowl are ready to wear. Knit in worsted weight, the Mighty Rainbow Blanket pattern covers the basics of using multiple colors on a large scale. Make your own personal rainbow in your favorite colors or stick with the classic-inspired colors of the original for a cheery piece to wake up to in the morning. Knit in bulky with details stitched in worsted, the C’mon Cat Happy will leave you feline footloose and fancy-free. 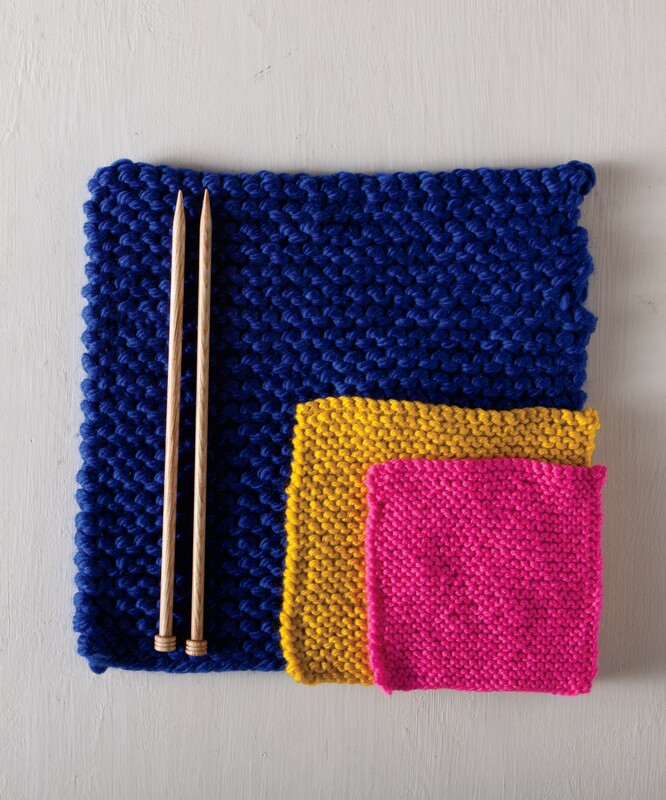 Leave the task of handwashing to your other knits. This one can go right in the washer on a gentle cycle setting. You betcha! Knit in super bulky weight, the Twist Ending Cowl can be easily customized to feature your recipient’s favorite color combo. Team colors or Hogwarts houses perhaps? Knit in worsted weight, the Peaks Pillow meets most of my aesthetic needs with it’s geometric design and historically inspired color palette. With a natural sheen, the brightness of Mighty Stitch makes colors pop! Because one weight of Mighty Stitch is simply not enough, you have 3 to choose from. The range of easy-care projects you can make is practically endless. As we say around the office, Mighty Stitch to the rescue! The post 20% off Mighty Stitch Yarns! appeared first on KnitPicks Staff Knitting Blog.